Angela Fusco (BA (Hons) Fashion Design 2015) is one of four winners of the Denim 2020: Levi's® x ARTS THREAD Design Challenge. 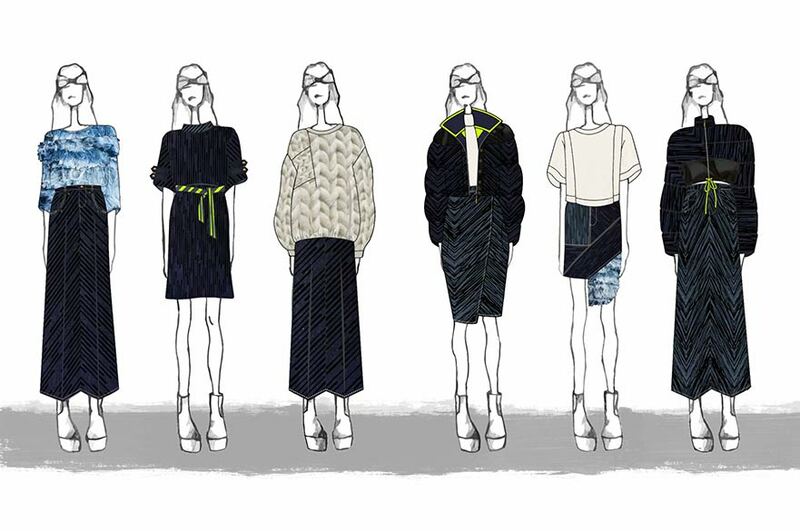 NTU alumna Angela Fusco (BA (Hons) Fashion Design, 2015) is one of four winners of the Denim 2020: Levi's® x ARTS THREAD Design Challenge. The challenge invited Fashion Design students to submit an entry showing a vision for what denim will look like in 2020. Angela's competition entry was up against over 500 other submissions from 27 countries and 50 nationalities. After hearing that she had won the competition, she said: "I was completely and utterly shocked when I found out I'd won. I experienced an inexplicable feeling of disbelief, joy and excitement!" Angela's collection for the competition was an exploration of sustainability through carbon fibres and their use in commercial products within the denim industry. Using contemporary trends and taking influences from sports luxe and nature, Angela was inspired to create a collection that challenged the conventional uses of denim. Steve Burns, Levi's® Director Mens' said: "Angela has a great sense of Levi's® heritage and really understood the brand's key values of quality, craftsmanship and durability. I loved her whole thought process and how she took these values and applied them through a modern lens for her project." Angela, alongside three other winners, will receive a paid ten-week design internship at LS&Co. 's San Francisco headquarters this summer. The winners will also have the chance to explore the Eureka Innovation Lab, a research and development facility dedicated to design ideation and prototyping just steps from LS&CO. headquarters. Take a look at Angela's winning designs on her ARTS THREAD portfolio.